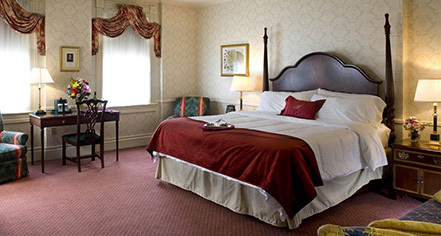 The General Morgan Inn offers 51guest rooms, including the Morgan Suite, which has a king-sized bed. Each room features high ceilings, restored molding, woodwork, marble baths, coffeemakers, irons and ironing boards, deluxe linens, color television with cable, Bath & Body Work toiletries, hair dryer and complimentary wireless internet. 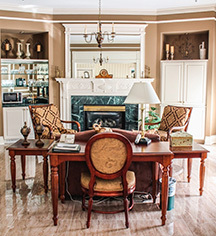 In addition to its ideal location in downtown Greeneville, General Morgan Inn has in-room computer data ports and a full-service business center, as well as a full on-site conference center. The inn also offers AAA and AARP rates.